In dallying around the internet tonight, I came across the website of a German artist who derives a lot of inspiration from patterns in nature. The pieces are quite beautiful and (at least in me) inspire ideas and possibilities for my own projects. 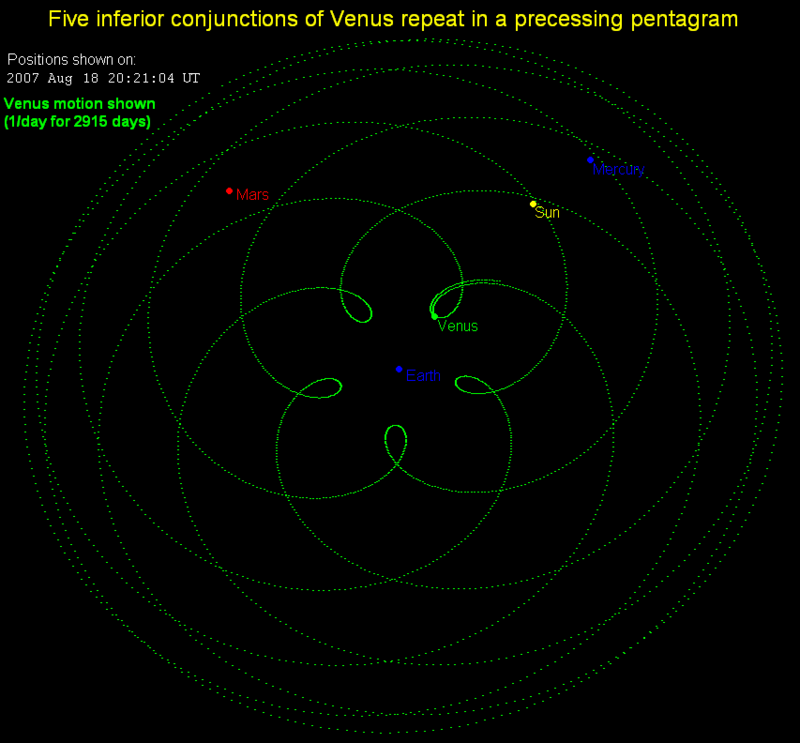 Additionally, through looking at his work I stumbled upon the Pentagram of Venus, which I’m sure I’ve heard about before, but didn’t take time to remember. Over eight years, the planet Venus’ trip in the galaxy brings her close to the Earth five times, almost symmetrically over eight years, if that makes sense. When mapped out, the design creates a near perfect pentagram and is really cool. (A more detailed and scientific explanation in this blog post. The discussion afterwards is also interesting.) This leads me to a question I thought I would ask of fellow artists – Is digital art, “art?” I don’t mean to say that it isn’t, but it a question I’ve pondered as I’ve looked as some creations of friends or even clients. What do you think?